This maroon velvet bag is quite a stylish piece to carry around to evoke mundane days. 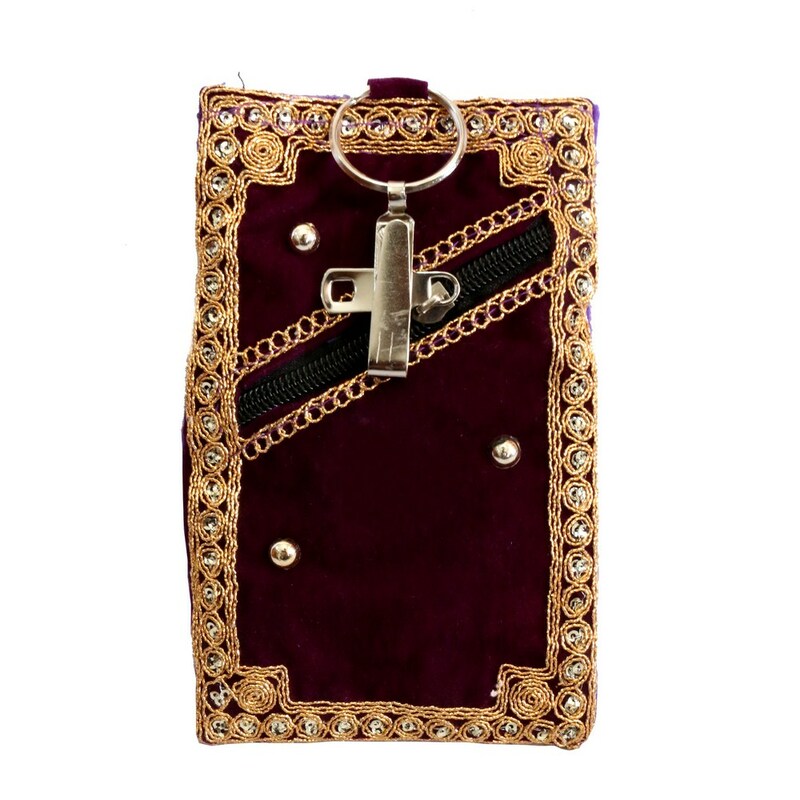 This clutch bag with a ring holder is attached Read More..with a transparent cross. The bag is bordered with golden embroidery work. With soft velvet to touch, this product is a must have for all comfort seekers. Show Less..